FEELING paralysed from the waist down, pilot Robert Van Kuyl desperately struggled to set his passenger, and friend, free from his seat as water poured into their helicopter. 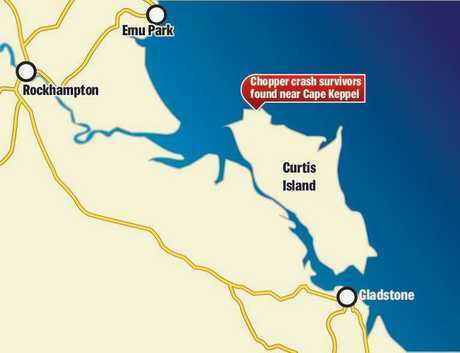 Almost four months on, the moments before and after the helicopter crashed in the water near Curtis Island have been detailed in the final investigation report. Mr Kuyl, 61 and passenger Garry Carroll, 56, who rescuers said were "lucky to be alive", left Caboolture bound for Curtis Island on March 17. 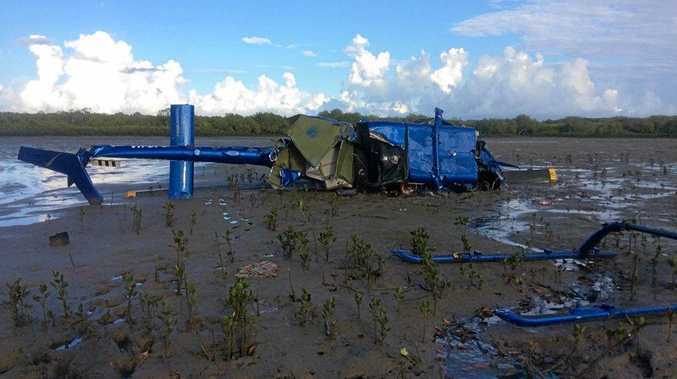 On March 18, around midday, their Bell 206 JetRanger crashed in the shallows of Keppel Creek. Now the findings of interviews, scouring the wreckage where it washed up on Curtis Island, and studying photos have shown it was not engine failure, as initially expected, that caused the helicopter to plummet into the ocean. The Australian Transport Safety Bureau found the likely cause was the main rotors stalling. "The ATSB noted the condition of the main and tail rotor blades indicated there was little rotational energy in the blades at the time of the impact," the report said. "It is probable the helicopter experienced a main rotor stall from a low height and low forward speed." The report added the helicopter did not have a low rotor speed warning system, which is in line with its certified requirements. "The absence of a low rotor speed warning system increased the risk of the pilot losing control of the helicopter," the report said. 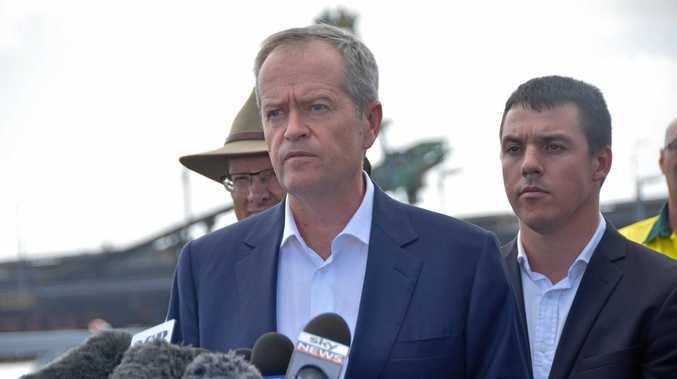 The ATSB ruled out mechanical failure as the cause of the crash after the aviation loss surveyor found no evidence of "pre-impact mechanical fault". The desperate struggle Mr Kuyl and Carroll experienced was also documented in the report. With the rescue beacon out of reach in the back of the submerged helicopter, the pair focused on getting out and to land. Feeling paralysed from the waist down, Mr Kuyl attempted to set his passenger free from his seat which was underwater post-impact. "The passenger, in the left seat, (was) underwater ... as soon as movement ceased, the pilot tried to pull the passenger's head above the water, but the passenger was initially trapped in their harness," the report said. Mr Carroll struggled free from the harness without unfastening it. Mr Carroll and Mr Kuyl were flown to Rockhampton Hospital by the RACQ Capricorn Helicopter Rescue Service, and later Mr Kuyl was taken to Brisbane Hospital for treatment on spinal injuries. The pilot originally reported a sudden loss of power, but the investigation found no evidence of a pre-impact mechanical fault or a lack of fuel.